Her words are well-put. With a population base that has grown by 15 percent since 2000, and trended younger (45 percent are under age 35, according to the U.S. Census Bureau), it’s been incumbent on officials to sprout a supportive work environment for them. That they have, with digital tech firms, craft breweries, smart manufacturing operations, and business expansions opening up. Among the area businesses that have seen the best and worst of Ohio’s economy in the past 100 years is Ohio Carbon Industries, which moved to Ashland in the late 1980s. According to General Manager B.J. Harvey, the company has quadrupled revenue in the last ten years, and forecasts a further 10 to 20 percent annual growth through 2023. Ohio Carbon Industries’ secret is a microcosm of the winning formula for both Ohio and Ashland: modernizing their business practices and finding new clientele by aligning with the ideal technology to shoot into the future. They did it with technology expansion, such as utilizing 3D printing and automated presses. 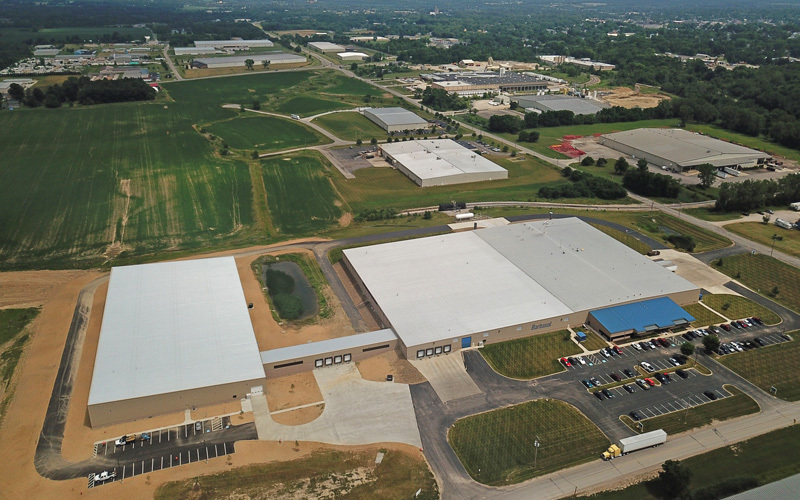 Ohio Carbon’s leap, like Ashland’s, began with a decision in 2013 to purchase another manufacturer and fold its assets into the Ashland operation. Since then, the company has tripled employment, creating opportunities that are appealing to young workers. In Harvey’s view, “You have to remember, these days, with the low unemployment rate, the employee is in the driver’s seat. A single statistic points to Ashland’s fortunes this decade. In 2013, when Ohio’s economy was still coming up for air, the city decided to invest more to draw entrepreneurs. Only $600,000 in new business deals were signed that year, Goon said. For 2018, that number is north of $80 million, and could hit $100 million by year’s end. As for the area’s overall capital infusion, it has similarly skyrocketed from $7.45 million in 2015 to $311.1 million in 2017, with 80 percent of area businesses reporting growth in the past two years. Ashland’s efforts have been noticed nationally as well. Since 2014, the city has ranked among the country’s Top 100 Micropolitans (under 50,000 population), hitting a high mark of No. 7 in 2017. They also won the 2018 Ohio Economic Development Association Award for the Grow Ashland marketing campaign, a brainchild of Goon. To support the positive trends with Ashland industry and population growth, Grow Ashland spearheaded the downtown’s Revitalization District in 2017. The initiative allows restaurant entrepren-eurs to access liquor licenses at a low, fixed price instead of searching for one on the open market. Next article Apex Legends Hits 10M Players in 72 Hours: Is This The Fortnite Killer?